Hello and happy Friday to you. I hope you have a fabulous weekend. 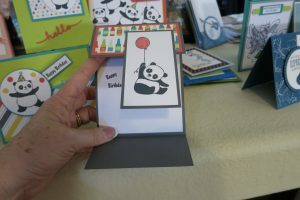 Below is the 4th of 4 cards my sister Ruth made using the Panda Party Stamp set for my Feb SAS. This is my favorite card of the 4 made with this set. 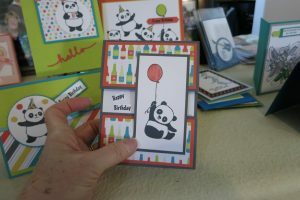 Its a fun fun card and so cute. 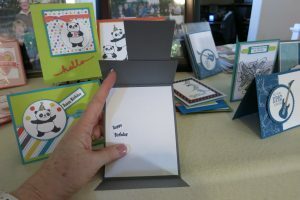 The DSP paper used on the card is a free item if you purchase $50.00 of SU items from me. Also the Panda set is also a free item, so lots of free items to pick from.. makes you want to buy more just to get these items right. 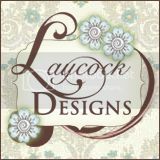 Love them and will be sorry when SAB is over and I can’t use them anymore at my events.. boo hoo. 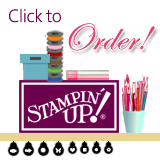 Have a great weekend and do some stamping. 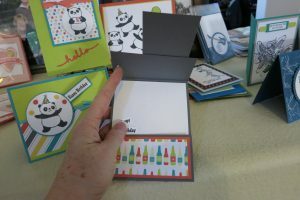 Do you have the sizes that you cut the card stock?